"I have so many passwords today, bank password, gate passwords, smart phone password and more others. The most special one is smart phone password. On my phone, Samsung S6, I do also set lots of passwords for various apps and tools, like Screen lock, WeChat, Weibo, Alipay and so on. What make me headache is that I can not set same password for per application because it is unsafe for my private information. As a matter of fact, the first security setting on all our phones is Screen lock. So, I set a complex and unfamiliar password to my phone. The bad thing I worry about happened to me. I forgot my screen lock password! That is a pattern password. I tried to power off my phone and then restart it, but it made no difference. Well, I do know how to do." In this time, I think Samsung Lock Screen Removal is the best assistant for you. 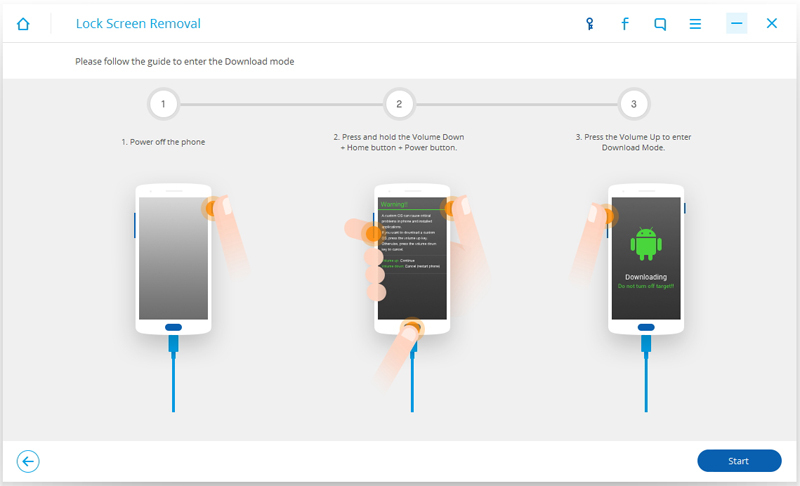 Samsung Lock Screen Removal, the best recovery software for all Samsung smart phone users, supports almost all Samsung models and keep totally safe guarantee to fix the matters of your phone. 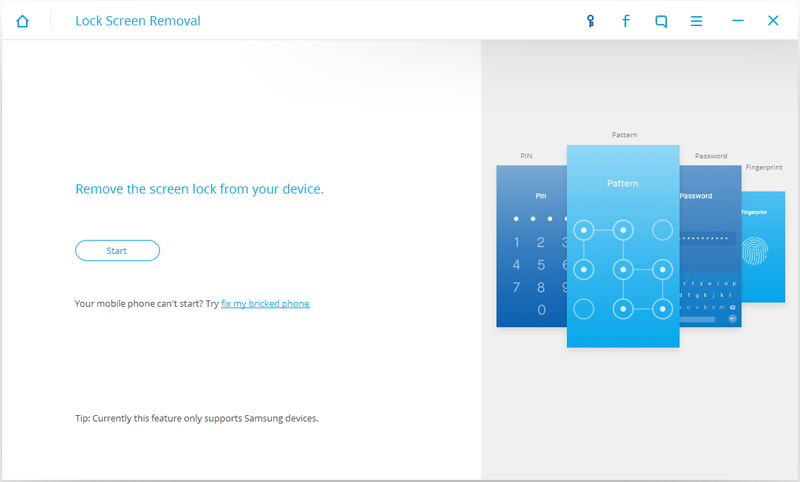 To Samsung Lock Screen Removal, it is easy to remove the lock screen on your Samsung Galaxy devices and keep all data on the phone without losing. 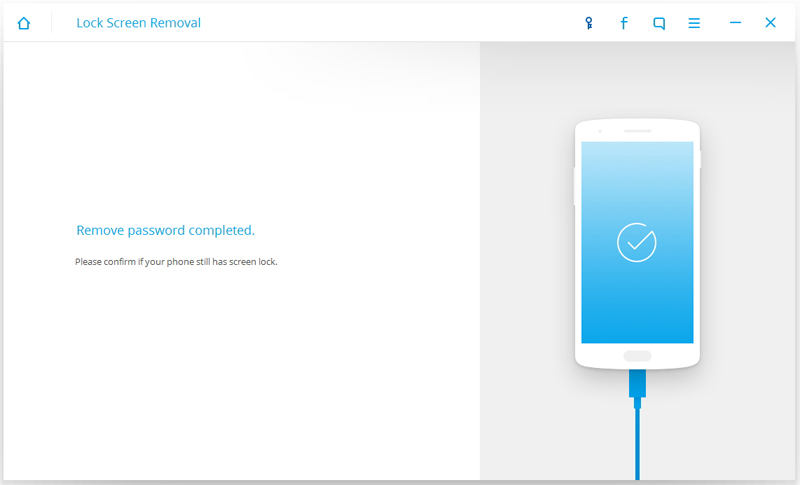 Now, Let’s see how Samsung Lock Screen Removal help you remove screen lock password from your Samsung Galaxy S5/S6/S7/S6 Edge/S6 Edge+/S7 Edge, as well as any other Galaxy devices. Step 1. 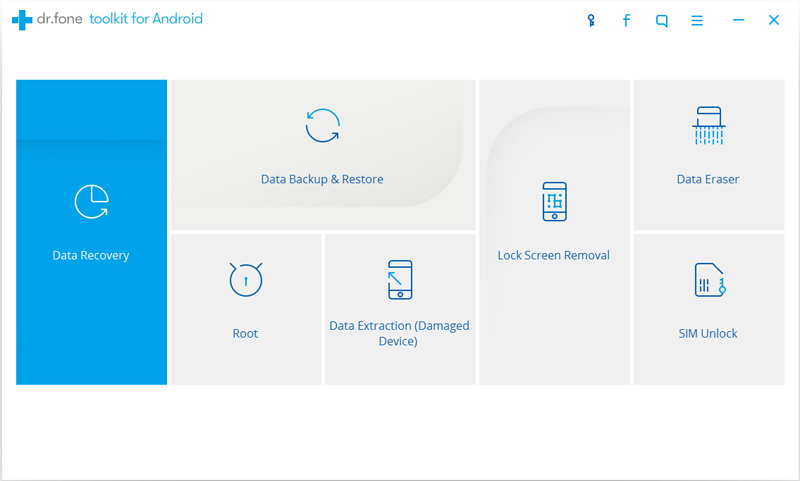 Select "Android Lock Screen Removal"
Run Samsung Lock Screen Removal on the PC after installation and type "More Tools" button to enter it. Then choose "Android Lock Screen Removal”. Connect your device to the PC via USB cable. Follow the instruction and click "Start" to begin the removal. This Android Lock Screen Removal can help you remove the password of PIN, patterns, password and fingerprint. 1. First of all, turn off your phone. 2. Press and hold volume down + home button + power button simultaneously. 3. Type the volume up to enter download mode. 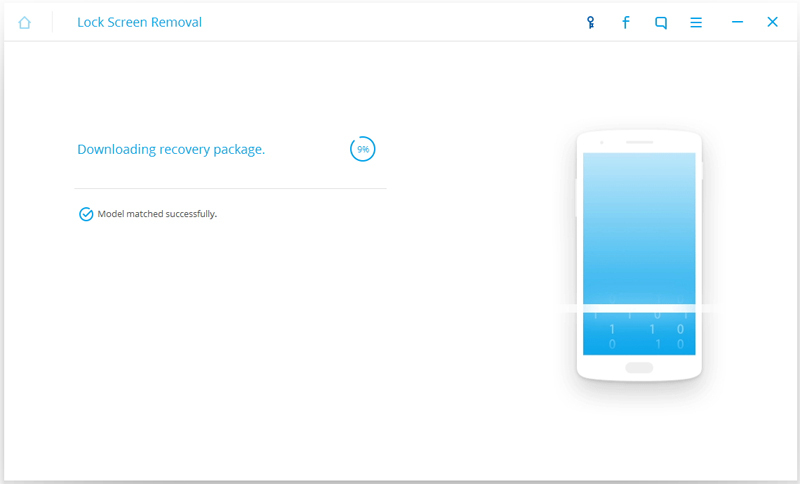 Once your device enter the download mode, it will tell you the model matched successfully and begin downloading recovery package automatically. However, the download may cost you a few minutes. After the recovery package is downloaded, the Android lock screen removal begins to work for you. After the recovery process over, you will be shown a sign of “Removed password completed”and will be warn to confirm whether your phone still has a password for the screen or not. At last, you can enter your phone without any password and you will be happy to find all data on the phone is safe and unbroken.